Question 1: Why you need to convert DVD to iPod? Answer 1: Watching movies is a good way to kill time on the bus, train and many other situations. If you have a large DVD collection, you can use DVD to iPod converter for Mac software to rip DVD to digital files. By the way, there is no need to buy movies from iTunes Store. Question 2: Which video and audio formats are supported by iPod Touch 6/5/4/3/2/1? Answer 2: H.264 (Baseline Profile Level 3.0), MPEG-4 (Simple Profile), AAC (M4A, M4B, M4P, up to 320 Kbps), Apple Lossless (a high-quality compressed format), MP3 (up to 320 Kbps), MP3 Variable Bit Rate (VBR), WAV, AA (audible.com spoken word, formats 2, 3, and 4) and AIFF formats are supported by iPod Touch 6th and earlier versions. Question 3: Is it necessary to download a DVD to iPod converter for Mac? Answer 3: Not all video and audio formats are compatible with Apple iPod series. Some DVD rippers may not offer iPod profiles directly. If you want to convert DVD movies for iPod easily, a good DVD to iPod converter really matters. Aiseesoft Mac Video Converter Ultimate is your all-in-one Mac DVD to iPod Converter and editor. You can convert DVD movies to iPod, iPhone, iPad and many other portable players. There are various high-quality preset profiles for ripping DVDs. You can enter into “Apple iPod” profile to get all compatible output video and audio formats for DVD ripping. In addition, you can adjust the output parameters before converting DVD to iPod on Mac. Of course, it is also supported to add external audio track and multi-audio track to your DVD movie. If you want to get the certain movie part, you can trim and transfer the target video clip to iPod instead of the entire movie. The DVD to iPod converter for Mac software can enhance video quality to make your video clearer with better visual experience in clicks. In a word, you can convert and edit DVD to any iPod video or audio format in one-stop. Convert DVD to iPod video and audio formats with the highest quality, as well as other 2D/3D formats. 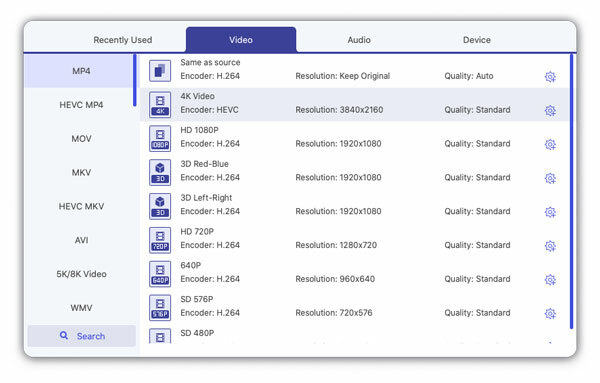 Extract multiple segments or audio tracks from your DVD for iPod. Add external subtitle and multi-audio track to your DVD movie. Rotate, flip, crop, add text/image watermark, enable 3D settings and apply other effects to personalize your video. Preview the edited DVD to iPod file in real time to get the optimal effect. Modify the DVD to iPod video or audio settings. Highly compatible with all Mac OS X 10.7 or above models including the latest macOS High Sierra and macOS Mojave. Free download, install and run the DVD to iPod converter for Mac software from its official site. You can start a free trial or get its full version with the registration code. Insert the DVD disc into the DVD drive. Click “Load Disc” on the top left corner of the window. Choose “Load DVD Disc” or “Load DVD Folder” from its drop-down list. Later, you can see all contained movies in the main interface. Here you can add or select the target subtitle and audio track near the bottom of each video file. Unfold the “Profile” list at the bottom of the DVD to iPod converter for Mac. To rip DVD movies for iPod, you can choose “Apple iPod” to get all supported formats. Of course, you can select the output iPod format from “4K Video”, “HD Video” and other categories. Click “Settings” to adjust video encoder, frame rate, video bitrate and other settings if necessary. You can make changes to the DVD movie with the Mac DVD to iPod converter too. Select the video you want to edit. Click “Edit” on the top toolbar. In the popping-up “Edit” window, you can rotate, crop, enable 3D settings, adjust basic effects, enhance video quality and add watermark easily. All your customizations can be monitored in the Output Preview window. Then click “Apply” or “Apply to All” to move on. Your converted DVD to iPod video will be stored into the default “Video” folder under “Aiseesoft Studio”. You can click “Browse” to change the destination folder if necessary. At last, click “Convert” to start converting DVD to iPod format on Mac in fast conversion speed and lossless quality. iTunes is the default tool to sync videos from Mac to iPod. You can also put music and videos to iPod via FoneTrans iPod Transfer. FoneTrans is more than an iTunes alternative. You can run the iPod manager for Mac to transfer and edit all iPod files safely and easily. iPod Touch does not support WMA, MPEG Layer 1, MPEG Layer 2 audio files or audible.com format 1. Thus, if you want to transfer music from Mac to iPod, you need to convert some iTunes files to iPod compatible formats first. 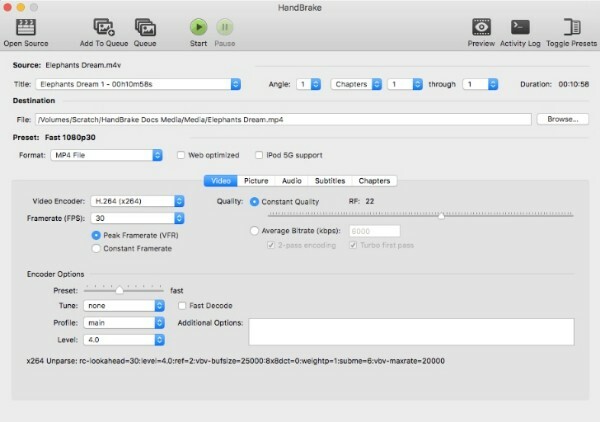 As you know, HandBrake is an open source and multiplatform video converter. You can convert DVD to iPod with Handbrake for Mac for free. The advanced parameter settings allow users to fine-tune movies before converting from DVD to iPod. Most video and audio formats are supported. Though you cannot convert DRM-protected DVDs with Handbrake on Mac. Then here comes the question, which one does a better job at DVD ripping, HandBrake or Video Converter Ultimate? Here are some references you can get before choosing your best DVD to iPod converter for Mac. Though HandBrake is a free DVD to iPod converter for Mac, it takes too long to convert DVDs. Sometimes you need to wait for hours to complete the DVD to iPod conversion process. It is not a good choice to convert large video files with HandBrake on Mac. Fortunately, Aiseesoft Mac Video Converter Ultimate supports batch conversion. You can even batch convert DVD to different iPod formats in a short time. HandBrake does not support users to combine videos. Meanwhile, you cannot add watermark to your video on Mac with HandBrake. Some build-in HandBrake filters are not friendly to less experienced Mac users. 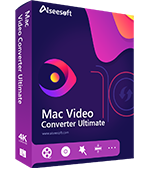 To bypass those problems, you can run Aiseesoft Mac Video Converter Ultimate to achieve the same effects with simplified options. 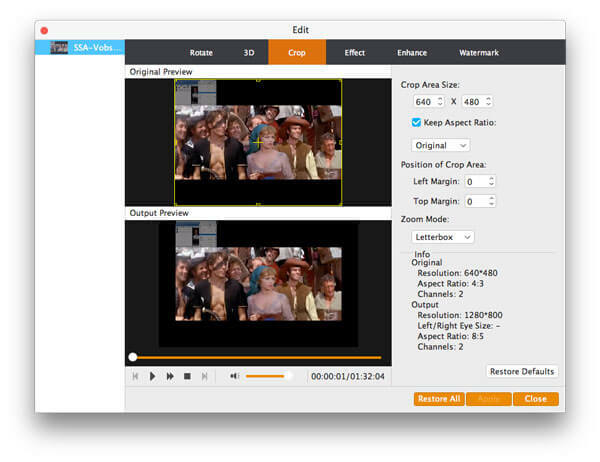 You can see many complaints about Handbrake’s outdated interface in G2 Crowd and other sites. Beginners may spend a lot of time on finding and testing video editing features. Some options are too professional for newbies. Furthermore, there is no support help and tutorial. But do not worry about that. You can get HandBrake similar and even better features in the Aiseesoft DVD to iPod converter for Mac here. All in all, you can get faster ripping speed and higher playback quality with Aiseesoft DVD to iPod converter for Mac. Thanks to the easy-to-use features and wide support of presets, you can convert DVD and other videos to iPod format effortlessly. There is no technical background required. Both beginners and professionals can convert and edit DVD movies with ease.